I love Berlin but every now and then I feel in the mood for France. I’m not French but France has always held this romantic, bohemian appeal for me (mainly inspired by Moulin Rouge and Jean de Florette). 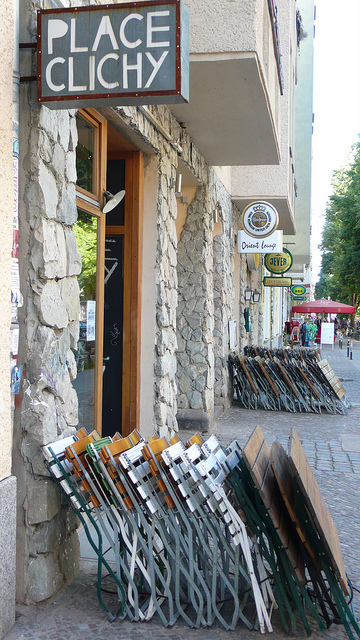 At Place Clichy I realised I was being stupid, I don’t need France – because Berlin doing France is so much better. 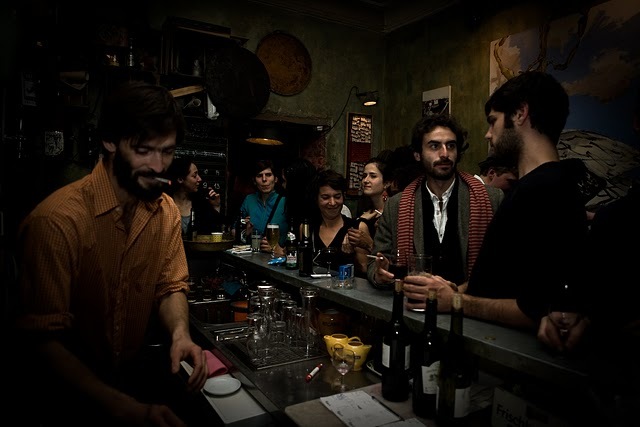 Place Clichy takes what’s great about France – wine, smoke, cheese, throaty jazz, cobbled streets and French (language and men/women) – and mixes it with whats great about berlin – low prices, late opening hours, relaxed atmosphere, proximity to great clubs and easy mingling. The result is something wonderful. 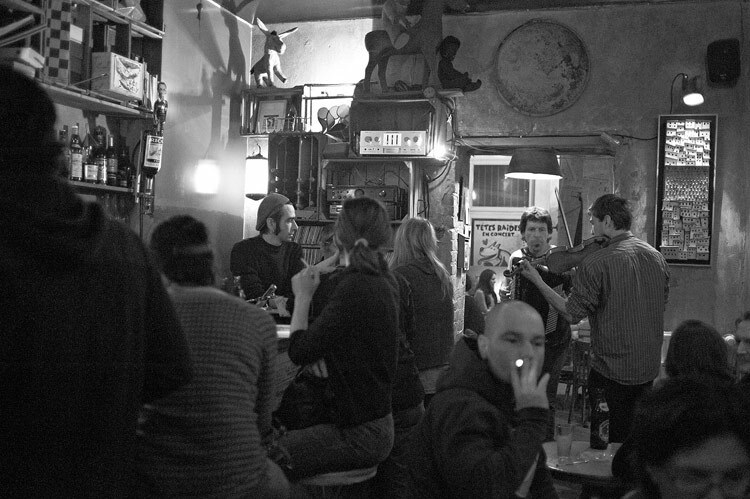 Perched at the bottom of bar heaven Simon-Dach Strasse this small joint has a very local feel, every one seems to know each other but you quickly feel part of the crowd and part of the atmosphere. The interior is cosy and spills out of its smokey bustle on to the cobbled street, Serge Gainsbourg and Edith Piaf are mixed with more modern beats which fill the smokey air. This may not be the cheapest bar on the street but for the quality it is definitely worth it. Share a bottle of Ventoux with a friend, lover, first date or stranger and time (and wine) will disappear as you philosophize, debate and laugh until you stumble back into Friedrichshain. They also hold concerts, shows and music evenings – check the webiste for upcoming events. Don’t be put off if you can’t find a seat – as the place fills up the seated feel like hobbits, dwarfed by the beautiful French eleves standing around them.